Loving the smiles on sweet faces as they pose for the camera, excited at the prospect of their very first Year Three sleepover. Packed and ready to head to school for a night of sleeping on the hall floor with 130 other 7-year-olds. Excuse the blurry photos. Its hard to capture lightning. Grateful she didn't insist that I be Parent Help. Whew. Loving the intensity of my little athlete. 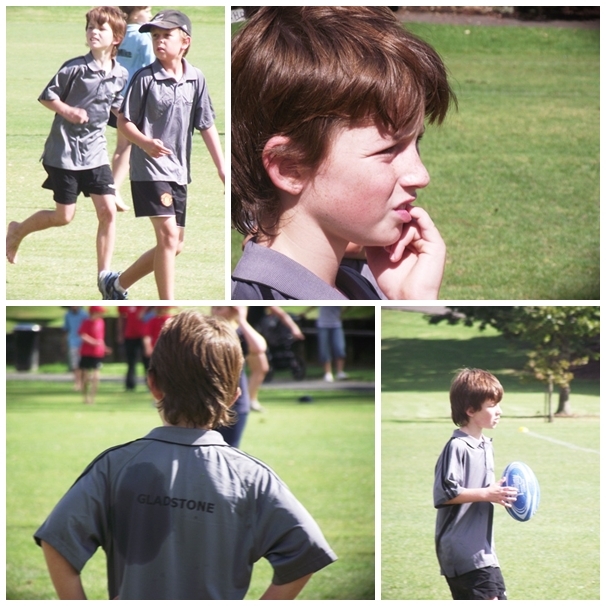 Picked for the inter-school touch rugby tournament, he represents his school. How odd to see him handling the oval ball!! As always Dash gives 100% and comes away with seven tries at the end of the day. They didn't win, but he is growing up - he didn't mind. He knew he gave his best, and that was enough. Still loving my Wii Active 2. See, look. Here I am kissing it. I really do love it. 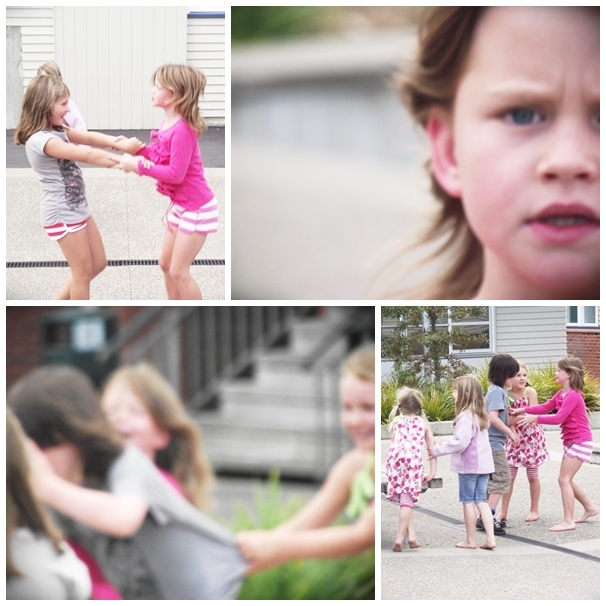 Who would have ever thought that exercise could be fun? Grateful to the genius who invented Wii. My shrinking rear-end thanks you. My baby has her Year 1&2 sleepover in the school hall soon too! Loving your list! Sweet! Sleepovers are fun, aren't they?